Make a skating date, roller or ice. You might not be able to stay on the rink as long as your child, but you will definitely remember the time spent teetering around the rink together. 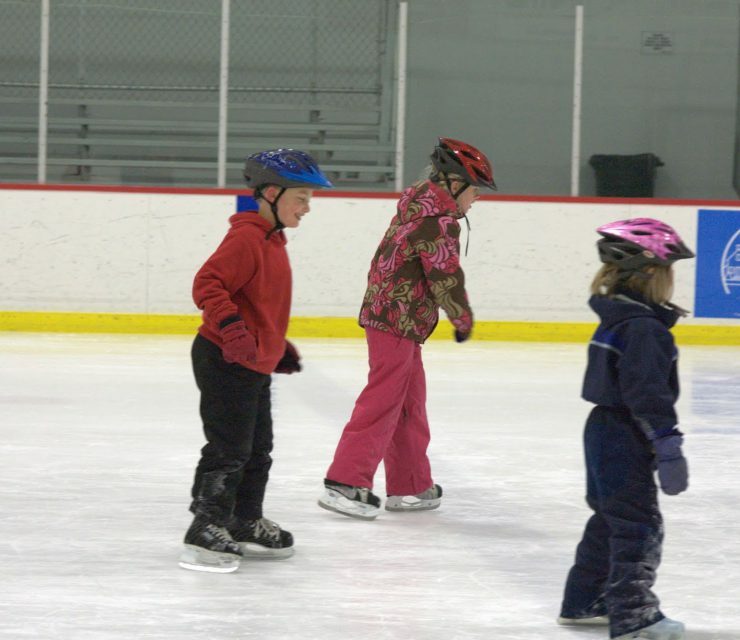 If you and your child already know how to skate, it can be a relaxing time to visit. If either of you is just learning, it’s a great way to show a child that learning is part of the enjoyment of life. Go rock climbing. This one might be easier for a beginner at an indoor facility, but it will be rewarding for both of you either way. There is a built-in sense of accomplishment in climbing, even if you only make it part of the way up. Plan a hike for just you and your child. 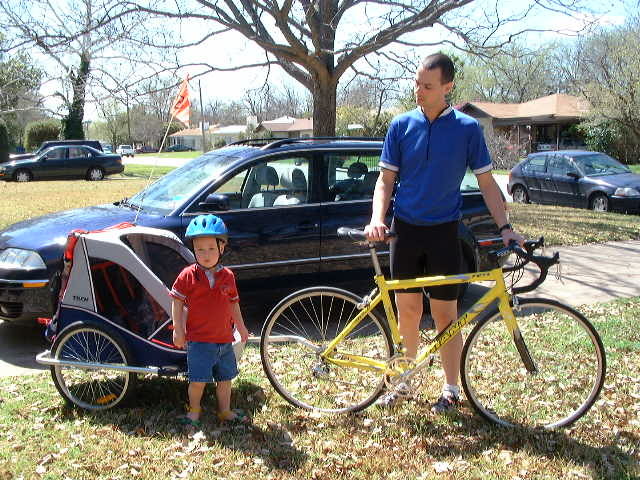 After a little while outside, you might find you and your child engaged simply in going forward. It does not have to be a long hike to reap the benefits of time spent together outside with a shared goal. Arrange a trip to the theater. Whether a play, ballet, or opera, most of us can delight in the experience of a theater trip. Choose an event with your child’s age in mind, and prepare the child with some exposure to the music or a explanation of the storyline. You should probably also discuss behavior expectations for the venue you have chosen. Then, go prepared to leave at intermission, especially if your child is younger. Choose a cycling destination together. It might be the local park, a cafe, or a swimming hole, but planning the trip will be part of the fun. Even a very young children are entertained by a bit of “route talk”. Give a little forethought also to what supplies you’ll need for the trip you’ve planned, like water or a snack. Go fly a kite. The two tips for this adventure are to find a good field ahead of time and to take only as much kite string as you want to reel in. Most children are surprisingly engaged by this simple, quiet activity, especially once the kite is actually in the air. It doesn’t hurt to have a pretty good kite. Arrange for a new class for your child. A series of classes on horseback riding, painting, or a sport can spark all sorts of fun. You might try to find a class with a shorter time commitment, so your child just gets a taste of what the activity is like. Then you can decide together whether it’s something your child wants to pursue. Schedule a movie date. You can know months in advance when a movie your child wants to see is due for release. Many will be delighted in the anticipation this can give. Organize a winter picnic. If you live someplace where you can have a fire, it’s a bonus. 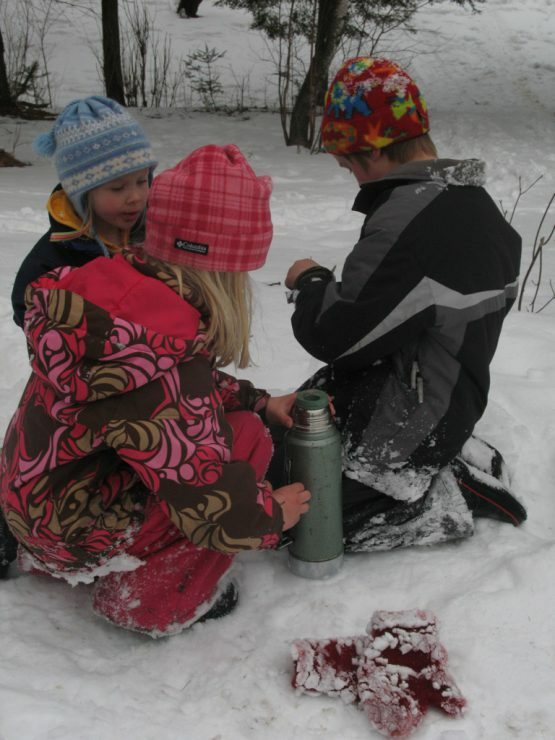 You can take a thermos of cocoa and enjoy the difference you can find in the outdoors in winter. Try to have a few ideas for things you might do, like looking for winter’s birds or searching for signs of spring. Learn a new craft together. Or teach your child a craft you enjoy. It could be knitting, wood carving, or cooking, but time spent learning and teaching builds memories and associations your child will carry through life. There are so many ways to create memories, and certainly the anticipation of gifts makes a deep mark in our minds. But, over the longer stretches of life, the moments we spend together become indelible.